People who feel uncertain about interior design aren’t uncommon. Choices in interior decorations are always so abundant. There are many trends and crazes to consider as well. It can be difficult to select a rug for a living room, a bedroom or a study. People want rugs that look attractive and modern. They also want rugs that feel terrific on the feet. It’s never enough to pick a rug based on appearance alone. It’s never enough to select one based on texture and feel alone, either. If you’re looking for the best of both worlds, why not consider a cowhide rug? Cowhide rugs are so many great things all wrapped into one. They’re floor coverings that boast natural appearances. So many things seem fake and synthetic these days. People who are fans of nature, honesty and all things earthy often lack options. If you want a rug that epitomizes the joy of nature, nothing can be better than cowhide. 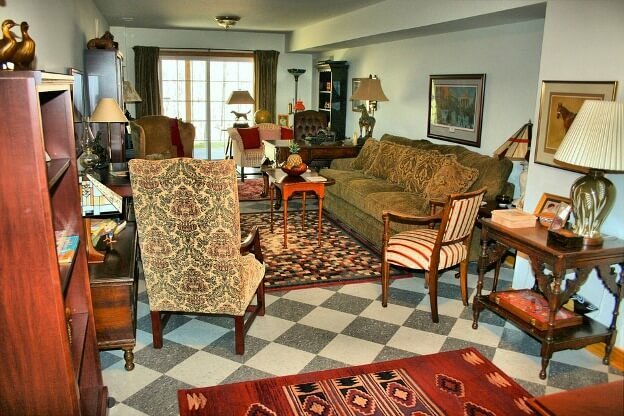 An animal skin rug can be terrific for people who are passionate about distinctiveness. There are many rugs that look exactly the same. It can get tiring to look at mass-produced rugs that all display the same boring themes, patterns and designs. Rugs that are made using cow skin, however, are a whole other story. Cows are wonderful creatures. They’re all their own special beings. Their lovely coats are just as unique as they are. That’s the reason rugs that are produced using their skin are so endlessly captivating. Cowhide rugs are impressively tough. Owning these rugs never has to be daunting. They’re the portrait of resilience. Keeping them in strong condition doesn’t have to be a time-consuming job. They’re impressive due to the fact that they can handle substantial degrees of foot traffic as well. You can walk on a cow skin rug until the cows come home, no pun intended. They’re not prone to fast deterioration. If you want to avoid investing in a rug that’s vulnerable to tearing, fraying and unsightly ripples and lumps, cowhide will give you no extra worries whatsoever. These rugs are excellent for versatility. Do you want a rug that can essentially multitask for you? Do you want a floor covering that can double as a cozy throw for an easy chair or living room sofa? No problem. Cowhide options can be anything and everything you want. That’s one of the reasons they’re so beloved. It can be wonderful to cuddle up to a soft cowhide rug on your couch at night while unwinding. The texture is vital for people who are considering floor covering purchases. No one wants to invest in a rug that has a stiff or hard texture. If you want a floor covering that can make you feel like a prince or princess, cowhide fits the bill. Cowhide rugs have textures that are undeniably luxurious. They also feel amazingly warm. If you want a rug that will serve you well all year long, you should look into cowhide as soon as possible.